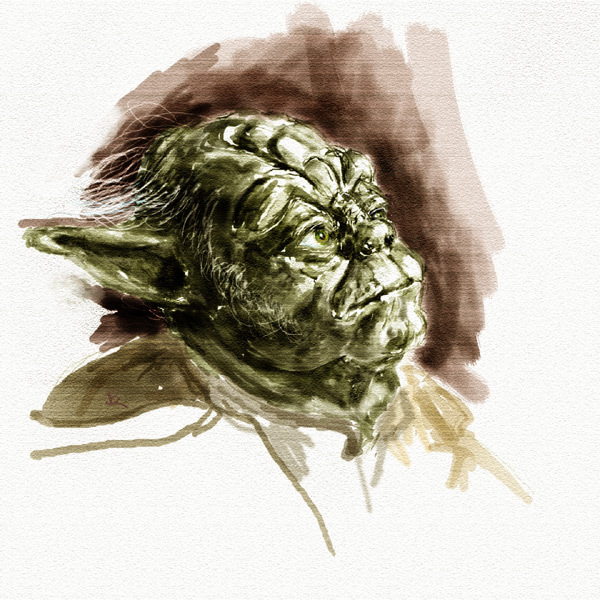 yoda 8 x 8 in. My cousin had been waiting patiently for me to paint him the portrait of his favorite Star Wars character. Yoda has many, many wrinkles.